The guitar has crossed moments when the production was rich and almost excessive, its concert life as a soloist, chamber and orchestra was the star and oblivion moments, now popular instrument and accompaniment, time for fun tool. The fact remains that its history has never stopped, nor from the organological point of view , surpassing by some ways, the volume limit, as they search for the writing designed to give light to its expressive potential, arousing the admiration also other authors such as C. Debussy, Benjamin Britten, Petrassi. 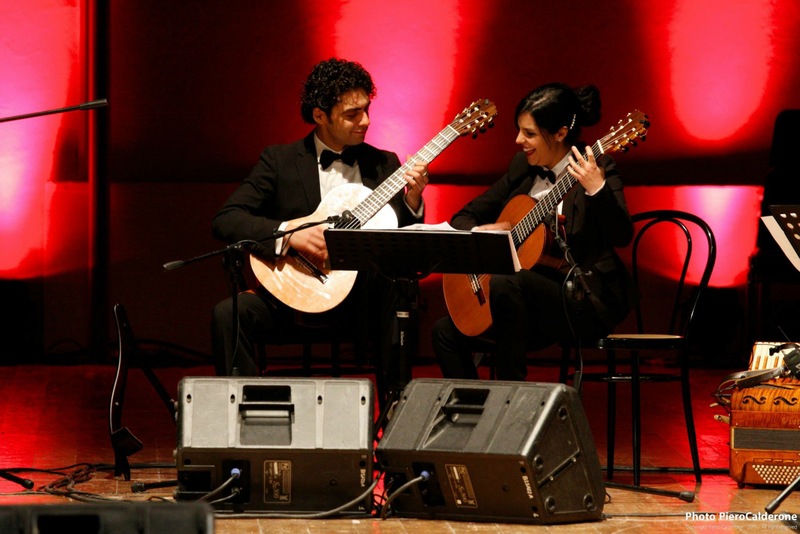 The desire to create a recital that it can enhance the potential of the instrument today, now full of many colors and sounds, through the choice of authors, composers and guitarists is they do not, that made up of rare musical beauty pages. The nineteenth century saw Vienna as a place of worship and a flourishing center for the most important composers of the time. In aristocratic salons and concert halls they conversed and found fertile ground for their thinking artists like Beethoven, Haydn, Mozart. Among the guitarists- composers who managed to create a space of respect for their executive talent, Mauro Giuliani and J. K Mertz represent the reference pillars for the six strings. Two virtuosos who left an indelible mark before the shut guitar his golden period, pending the skilled hands of Andres Segovia.